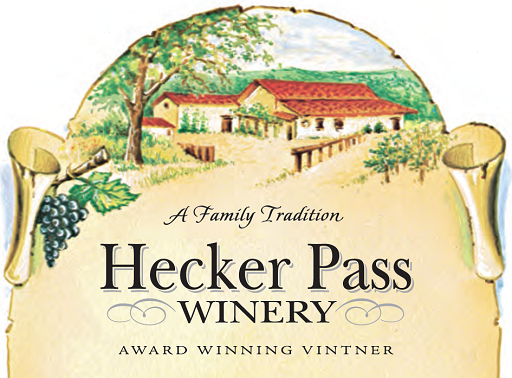 With four generations of experience, and over 150 state and national awards, Hecker Pass Winery embodies what it is to be passionate for producing high quality wine. We use centuries old techniques and practices handed down by our family to craft fine wines with true Italian Character. The process starts with 70 year old vines, (rootstock from Italy) that are dry farmed right here on our estate, in Southern Santa Clara Valley. We stay as natural as possible and do not use herbicides or pesticides. 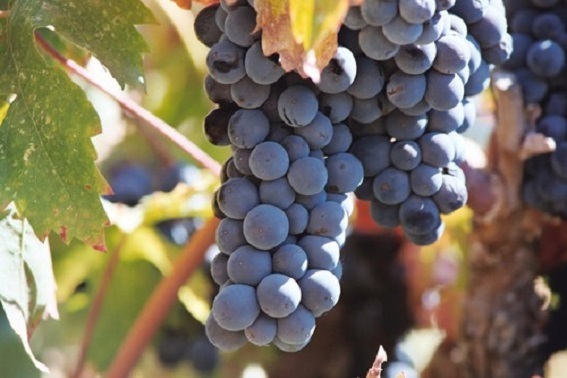 We perfectly time our harvest to capture each grape’s natural characteristics and flavors. Our vineyard is hand pruned, hand hoed and handpicked, to ensure only the highest quality grapes make their way into our wines. 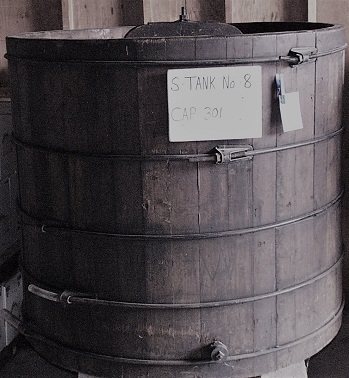 Finally, the wine is makes its way into wood tanks and French oak wood barrels to age. 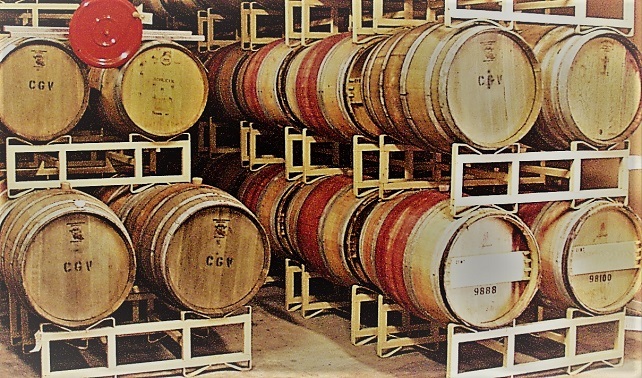 Each barrel is carefully selected to complement each varietal’s natural characteristics. Our entire process is fully-sustainable and produces all natural, well-balanced, full bodied wines with true Italian character. A portrait of where the winery began. An old friend of Mario Sr’s came to visit from old world Italy. This friend was so touched by Mario’s passion for the winery, his family and friendship that he wanted to leave a gift for Mario. Not having much to give, but being an artist, he painted a portrait of the winery. This portrait became our label. Though we have grown, this is a reminder of our humble beginnings. Elegantly styled and balanced. Beautifully layered with fruit flavors and a clean and refreshing.finish. A natural pairing for shellfish and pastas with light cream sauces. The bright acidity of the wine cuts through the cream and prepares the palate for the next bite. Created in 1980, Red Velvet may be the ideal wine for someone new to reds, but wants the flavor characteristics of a full-dry, without the heavy tannins. Red Velvet captures the elegance and sensuality of its namesake in a wine that is crisp and light, with up front flavors of concentrated ripe fruit. After many discussions with customers visiting our tasting room, we decided to bring back the Ruby Zinfandel after a 15 year absence. This mouthwatering creation meets the demands for a unique, delicate red that captures the subtle power of cherry and blackberry with a sumptuous finish. Richly flavored and Jruity, but light and easy-drinking. Crafted in a gentler and less intense style than our full-bodied Petite Sirah, this fruit forward medium red explodes on the palate with spicy cherry fruit and finishes buttery smooth. Pair with lighter meat dishes or your favorite pizza. A special blend of wines make this Burgundy, with its plum nose, soft berry and oak flavors, an affordable table wine. Great on the palate and the pocket. 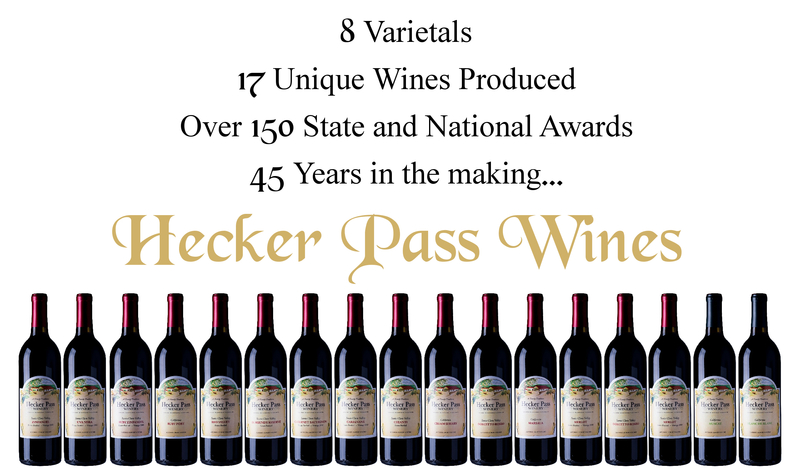 Inky full body with lush velvety tannins & intense plum & blackberry fruit describes this late harvest Merlot. Pairs well with filet mignon, duck & roasted chicken. Chocolate, cedar & mint start to describe this well rounded full-bodied Cabernet. Aged in oak to give a softening effect on the grape’s naturally high tannins, the unique wood flavors of vanilla and spice complement the natural grape flavors of black currant & eucalyptus. Great with Beef, braised lamb & aromatic cheeses. A rich, dark Zin. Big raspberry aroma and ﬂavor with a unique spicy character followed by a hint of oak. Simply prepared meats – roasted, broiled or grilled are perfect with Zinfandel. Roasted lamb with garlic and herbs makes for a classic food and wine pairing. This big and stylish Chianti maintains an easy-drinking charm and elegance. Very concentrated fruit reminiscent of ripe cherries is enhanced by a complex array of berry ﬂavors. A classically styled Italian wine best enjoyed with rich, ﬂavorful pasta dishes and robust slow-cooked meals. Deep ruby color with intense aromas of red fruit. Spicy nuances of cedar and a touch of oak all meld together in a luxuriously smooth finish. A full-bodied wine such as this would complement the hearty character of a dish such as braised short ribs and mashed potatoes. A grilled marinated beef tri-tip would support the spiciness of the wine. Awarded a Five-Star rating by Beverage and Food Dynamics Magazine. A simply delicious sweet, fruity wine with nice floral aromas. Pour over chilled fresh peaches or any seasonal fruit and you have the perfect finale to any occasion. Ideal for warm weather gatherings where the best of the season is to be enjoyed. A rich and intense fruit ﬂavored wine, artistically styled and balanced. Serve a cheese and port course for dessert. Blue-veined cheeses, like Stilton, and hard cheeses such as Parmesan provide a classic match; while ﬁgs, almonds and walnut bread round things out. Chocolate desserts paired with port make for a decadent ﬁnish to any meal. An elegant after dinner wine with deep flavors of pecans and walnuts in a smooth finish. The pecan and walnut nuances in this wine make it a perfect partner for a sweet caramel-nut tart or a soft and creamy flan.